The first rule of shed club is... talk about shed club! 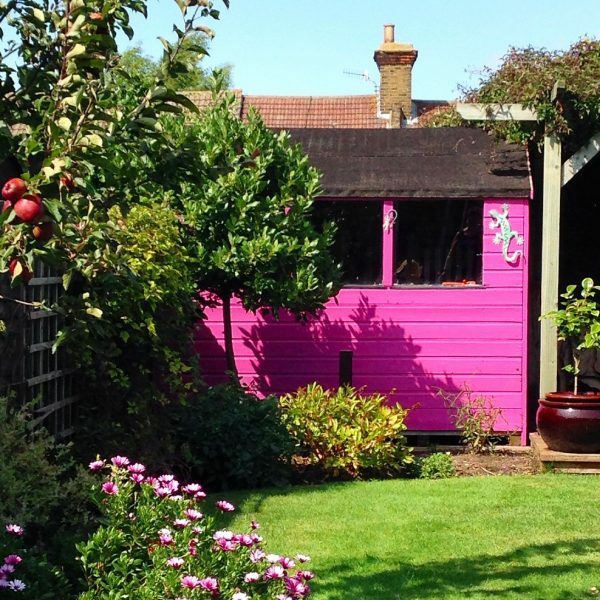 Is your shed living up to its potential? Every week, like minded people turn their sheds into quirky spaces in which to discuss literature, upcycle furniture and share their DIY skills. We’re talking about the growing phenomenon that is the shed club. Here we take a look at how you’ve transformed your sheds, from cobweb-strewn repositories of rusting garden implements into the perfect pads in which to entertain, potter and create. Read on for the info and inspiration you need to help you free your inner sheddie! Before you begin to think about inviting your friends to partake in your newly established shed club, first get the practical stuff done. Think about the kind of space you want to create, put on your overalls and get busy. Just make sure you use weather-proof paint for your shed’s exterior. Emulsion is fine for the inner walls. Having a warm, well lit space is essential if your club is to meet all year round. And of course you’ll need power if you plan to use power tools. “It is a hobby room, an office, a chill-out bolt hole and a place for rather unusual parties. It is also doing more than its fair share for the environment and the community. 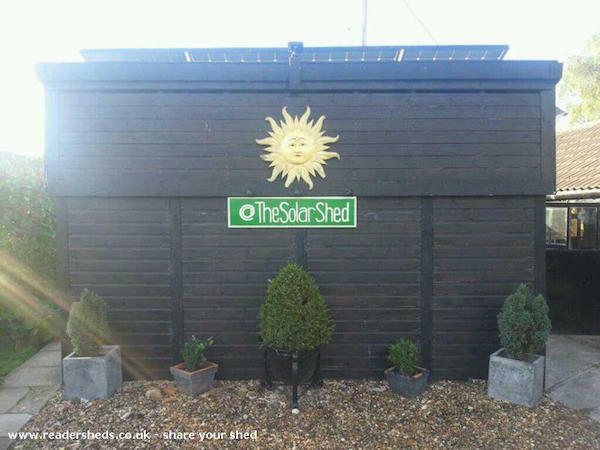 Kevin lights his shed with solar panels that generate generate 5kw of electricity a day, which is also enough to power the fridges and freezers in which he stores his surplus home-grown produce. 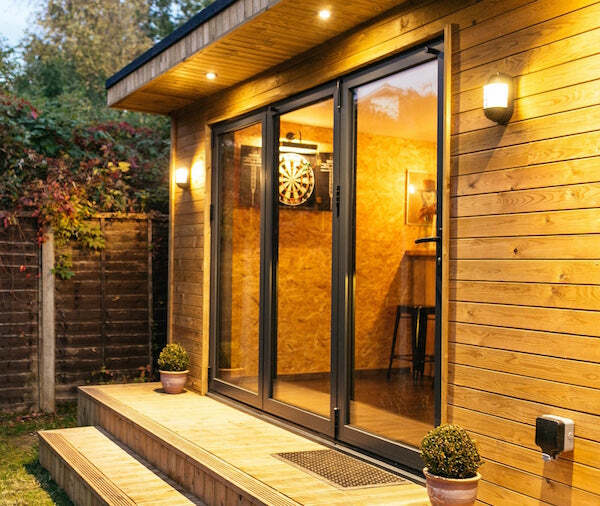 What will your club members be getting up to in your shed? It pays to plan ahead when thinking about furnishing your shed’s interior. Think about how many power points you’ll need and where they should go. For any kind of craft or DIY activity, you'll also require at least one large surface to work on and plenty of storage. Make the most of your shed’s vertical space by using shelves and stacking boxes. If your club is all about socialising, comfort is key. We're thinking sofas, a beer fridge and a coffee table or two. To avoid clutter, consider using stylish foldable or multi-functional furniture. For a final flourish why not add a few wall hangings and colourful rugs which have the added advantage of helping to keep your shed warm and cosy. 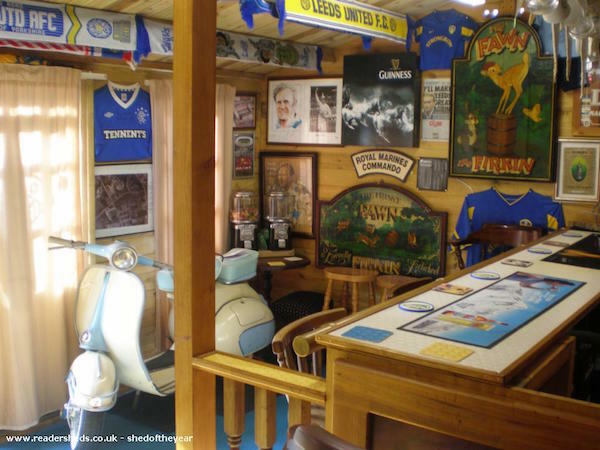 The walls of Neil’s pub home-from-home are festooned with footy memorabilia and there’s a well-stocked bar, a TV, fridge, jukebox and dart board. Step outside and you’ll even discover an astroturf garden along with a wood burner and pub bench. 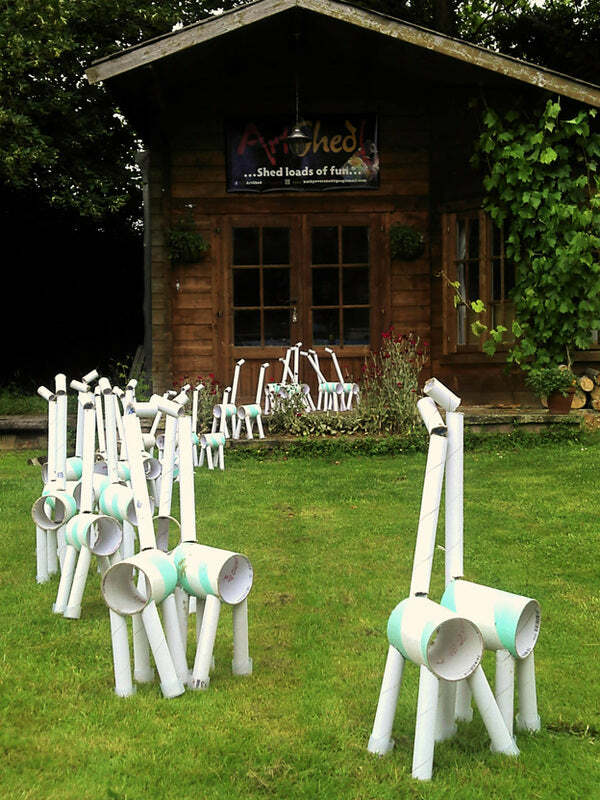 Artist Kathy Evershed uses her shed to give children the chance to paint on canvas, create models and experiment with various art techniques. But what inspired Kathy to open her shed as a business serving young people from the local community? Kathy’s creative classes are so popular that she now also runs arty holiday camps for kids as well as art sessions for adults. Inside their shed, the group gathers around a large central work surface to chat over a cuppa, make things and share their skills. They keep the space cosy with a log burning stove. Sound inviting? We think so! What kind of club could you run from your shed? Head over to our Facebook page and share your ideas! We’d love to hear them!